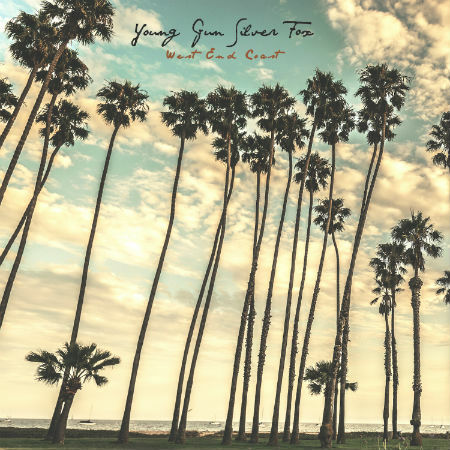 Young Gun Silver Fox is the new collaborative effort of Andy Platts and Shawn Lee. In anticipation of their debut release together, “West End Coast”, due out on November 13th via Légère Recordings in Europe and P-Vine in Japan, the duo have launched first single “You Can Feel It” along with a video filmed, directed and edited by Jamie Sadd. Both young gun Andy and silver fox Shawn have a rich and lengthy musical background, Andy Platts is the co-founder and frontman of four-piece band Mama’s Gun while Shawn Lee has released a plethora of self-produced projects with AM and his own Ping Pong Orchestra. Together they draw from their respective experiences and create something entirely new, with an album ranging from acoustic harmony laden rock to Classic pop & funk ‘n’ soul. “West End Coast” was recorded in Shawn‘s studio in the West End of London and evokes some of the defining SoCal pop-rock classics of the 1970s, so the title reflects both worlds, the strong sonic influence of the West Coast but with a distinctly British touch. First single “You Can Feel It” sets the mood for the album with its catchy hook and nostalgic atmosphere, and is sure to whet appetites for the upcoming full-length!